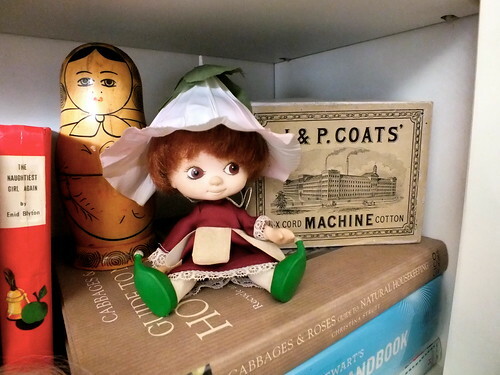 Florence and Mary: Victoria Plum Doll - Where is she now? Victoria Plum Doll - Where is she now? 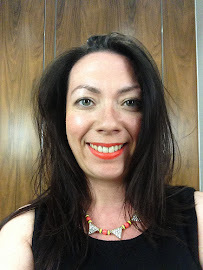 My blogger stats tell me my most viewed post is this one about my Victoria Plum doll purchase. As it was originally posted 4 years ago today I thought I'd give everyone a little update to say that Victoria Plum is still living with me and happily sits on my bookshelf alongside my Russian Doll (a gift from grandfather when I was very young) and a box of sewing threads I kept from my great aunts belongings when she passed away.